Gazprom wants Ukraine’s Naftogaz to confirm it is refusing to prepay for gas, as long as Russia supplies fuel to Donbass. If Kiev doesn’t pay, Russia may stop supplying Ukraine by Saturday. The head of Gazprom Aleksey Miller sent a letter to the head of Naftogaz Andrei Kobolev Wednesday, in which he demanded confirmation from Kiev that the latest prepayment for Russian gas would only be made should Gazprom stop supplying the Donbass region, reports Kommersant. 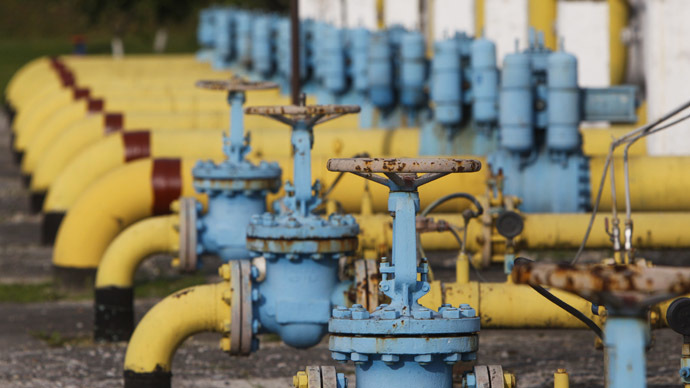 Gas is being supplied to Donetsk and Lugansk through the previously mothballed entry points at Prokhorovka and Platovo in south-eastern Ukraine. Miller pointed out that the supply to Prokhorovka and Platovo is part of Gazprom’s contract with Naftogaz. The letter says Gazprom will not deliver gas to Ukraine without prepayment. According to the company Ukraine will have enough gas stockpiled to last until Saturday. Formally, Kobolev didn’t waive prepayment for deliveries to Donbass, but on February 24 he said Naftogaz won’t pay in advance until it receives a performance guarantee from Gazprom over the contract and the winter package signed in Brussels in October 2014. A new gas standoff between Russia and Ukraine broke out last week when Kiev suspended gas supplies to Donbass, saying it was due to damage caused to the pipelines. After that Gazprom started supplying gas 12 million cubic meters of gas a day directly to the republics of Donetsk and Lugansk. "Either Ukrainian authorities consider it [Donbass – Ed.] their territory and bear the responsibility for the situation, or it isn’t so. Let them then openly say it." This followed a warning from Gazprom that if Kiev failed to pay for gas deliveries, this could create transit risks for Europe. Ukraine has blamed Gazprom for not fulfilling the request by Naftogaz for 114 million cubic meters on February 22 and 23, and passed only 47 million and 39 million cubic meters. Kiev also said it won’t pay for gas delivered to Donetsk and Lugansk, saying it cannot verify whether the gas was supplied or not. The European Commission proposed to discuss the possibility of separate accounting of gas supplies for Naftogaz and Donbass, according to European Commission Vice-President Maros Sefcovic. He said the European Commission is planning to convene a meeting with Russian and Ukrainian energy ministers shortly However, Gazprom is unlikely to make concessions, primarily for political reasons.